In order to provide prospective students with the best chance at having a great education, we have compiled this list of the top universities and colleges in Kansas. Some schools may excel at online programs while others may focus exclusively on the traditional, on-campus aspect of higher education. Regardless of the delivery format, these schools excel at providing a quality education for their students. The state of Kansas provides excellent distance learning programs as well as an abundance of student resources provided for students to use to benefit their educational success. Kansas has committed to providing accessible and affordable education to all individuals who have any desire to earn an advanced degree. The state has significantly increased the percentage of degree-holding adults and continues to do so each year. 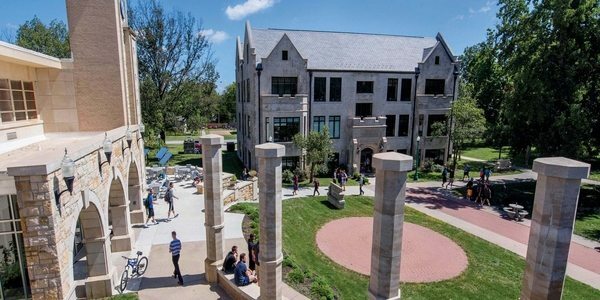 The best colleges in Kansas give students a wealth of options when it comes to earning a degree and pursuing their professional dreams. Higher education institutions in Kansas continue to add and develop distance learning programs to fit the wide variety of needs of working adults. By earning a degree, individuals drastically increase the number of options they have not only for careers, but also for further education and general success in life! At Fort Hays State University, online education has been a focal point, with approximately 65% of its student enrollment online learners. FHSU offers over 40 online degrees that range in education levels. With one of the lowest tuition rates in the nation, students love the affordability, convenience, and flexibility of FHSU’s online programs. The professors at the university make themselves available through many forms of communication for students to reach them to answer questions and give extra help. An online tutoring center is also available for students to use at any time during their program. Emporia State University provides online graduate and certificates for individuals looking to continue their education. Programs include accounting, business administration, elementary education and more. Student services provided by the university include online tutoring, test preparation, technical assistance, and library access. Emporia has incredible teaching programs, shaping some of the best teachers among all levels to continue to teach others. Online students must enroll in and maintain at least 12 credits to receive the benefits of being a full-time student. ESU has one of the highest rankings of all schools in Kansas. Washburn University uses its developed PLAN online program for those seeking to complete a bachelor’s degree. Students in the PLAN program can choose from 5 different topics which are criminal justice, health science, human services, technical information, and integrated studies. Outside of the PLAN program, there are many other online degree choices to complete. WU’s goal is to make sure their online students feel connected and a part of Washburn’s remarkable learning environment. Pittsburg State University currently has 46 outstanding online programs to choose from. Pitt State is focused on providing affordable tuition to all students seeking to better their future through their education. In addition to its heavy emphasis on all things technology, students can complete degrees in nursing, history, business, education, teaching, and more. Courses are accessed and taught through Canvas, which includes features to interact with peers and teachers, check grades and more. The online format is flexible for completion, which encourages students to manage their time wisely. At Wichita State University, students can realize their educational goals with fully online degrees in business, criminal justice, education, nursing, and more. All of WSU’s online programs are accredited, meet quality standards, and are taught by campus faculty. WSU’s fully online degree programs are flexible and affordable, out-of-state students pay in-state tuition. All WSU Online students receive personalized student support like enrollment coaching and academic advising. WSU is also the #1 transfer destination for Kansas Community College students. At WSU, students enrolling in fully online degree programs pay residency neutral tuition rates. The tuition amounts below show an estimate for undergraduate or graduate students taking 12 credit hours. For more detailed information about WSU’s tuition and fees, please click here. 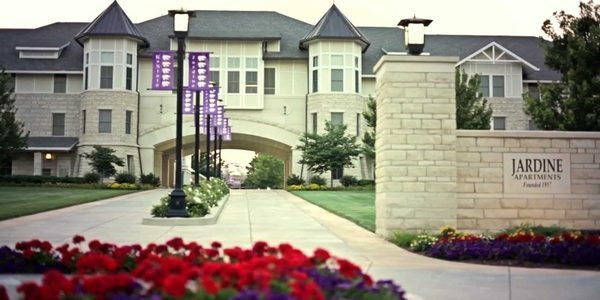 Kansas State University has 17 bachelor’s programs online. K-State has students from 50 different states and 41 countries participating in the education that the university has to offer. The university is an innovative leader in distance education with affordable programs that enhance an individual’s career. Student services provided by K-State are put in place for support that can be accessed and used at any time. The University of Kansas has affordable tuition rates serving high-quality education. The University is able to provide a wide variety of programs and resources to its student body. Kansas offers not only undergraduate and graduates degrees but students can also earn certificates in a variety of professional studies. The University is known for its nursing and liberal arts degrees. With distance learning programs, academic advising, online tutoring, and library services are available for students to access at any time. Courses have multiple start dates throughout the year to best fit the needs of student’s schedules. Barclay College has created a Bible-centered environment for its students both on campus and online. Both degrees and certifications provide students at Barclay a wide range of studies to choose from. The College is generous in helping its students be able to afford an education by awarding scholarships and grants to its students. While the school is heavily centered on the Christian faith, it welcomes all students to enroll in its institution. The programs are known to be rigorous yet rewarding, and students become well prepared for the work field ahead. Barclay has many organizations for students to be a part of to network and gain experience in related fields of interest. Sterling College’s online program is fairly new, its technology, curriculum, and virtual platform are up to date, preparing students for excellent careers. The school’s mission is to develop future business and community leaders. As a Christian, liberal arts college, many of the beliefs and values are incorporated into the curriculum. Sterling offers impressive tuition rates, with discounted options for online summer classes as a way to get ahead in a program. Transfer credits are generously accepted so that no student falls behind. Criminal justice, elementary education, and organizational management are popular programs pursued at Sterling. Pratt Community College is a two-year university and has over 75 years of experience and history. Pratt holds several institutional partnerships that will give students a wide variety of opportunities in the field of their choosing. Pratt also maintains student flexibility with online programs for those working around other commitments. Newman University teaches its courses through Catholic thought and practices to further the institute’s mission. Business studies, nursing, theology, are popular online programs among many that the university offers. NU uses Blackboard as its online learning management system, making online learning and submitting assignments and tests simple. Students may also be eligible for Nu’s adult re-entry tuition discount, for those returning to complete a degree. The University also offers grants, scholarships, and fellowship opportunities to students who are involved in projects that support the mission statement that the school upholds. From associate’s to master’s levels, Tabor College offers 17 online degree programs. With small class sizes, students always have success in whatever program they choose. The school strives to maintain an intimate approach to a faith centered educational experience. Programs include business administration, operations management, and professional sales. Each student receives access to an academic advisor, financial aid, and Christian ministry opportunities. Tabor has a diverse student body enrolling individuals from 32 states and 12 countries, with continuous growth. The University of Saint Mary is an institution for young women who value their education. For its online classes, the university keeps the teacher-student ratio small to promote one-on-one interaction for individualized learning. Many of the online degrees include the option to add a specialization to a more tailored degree. To support virtual learning, an online student portal helps students with questions or concerns regarding their programs. Each course requires students about 15-20 hours of coursework per week. Choosing to pursue the same prestigious degree via online, students are able to complete their work on their own schedule that best fits their needs. Friends University provides distance learners with bachelor’s and master’s degrees fully online. All courses and programs allow students to self-pace to move through assignments at times their schedule allows. The program offers a unique and creative approach to academic and spiritual learning. Business management, computer information systems, healthcare leadership and more are prestigious degrees that Friends offers. Southwestern College contains over 15 online degree programs. With eight enrollment sessions throughout the year, students can apply when the time is right for them, without feeling behind. The courses are designed for working professionals and adult learners. Popular degrees from Southwestern include accounting, education, and Christian ministries. The College is very active with military personnel, it has military transfer credit policies, specific scholarships, and military programs to help those who are serving to gain an education as well. SC provides an accelerated format for online classes in a six-week format. Baker University offers online bachelor’s and master’s degrees that have a proven track record for job placement. BU is known for its education and business studies that prepare students to excel when transitioning into the work field. Classes are asynchronous, which allows students to complete assignments at their pace or to get ahead of coursework. Many resources and distance learning information are available on the University’s page to provide details of programs, online requirements, and answers to other frequently asked questions. If your school isn’t included on this list but deserves consideration for an updated version, please contact us today!